The political parties, civil society intellectuals belonging to left, secular and right-wing, often make a claim to carry forward, Dr. Ambedkar’s legacy and his contributions in the nation building from their own ideological and political perspectives. However, Dalitbahujan public intellectuals have put-forth the view that only true Ambedkarite could authentically represent his radical legacy. For radical Ambedkarites, the mainstream political parties such as the BJP, the Congress and even parliamentary left are using Ambedkar’s ideology symbolically merely to gain political and electoral mileage. However, it is interesting to note that civil rights activists like Anand Teltumble has highlighted that the so-called Ambedkarites and social justice parties are also not seriously following the real political legacy of Ambedkar. While paying the tribute on the occasion of his 128 anniversary day, it is an intellectually important and crucial task to revisit Ambedkar’s thoughts and therefore preserves his radical legacy from misappropriation and distortions made by the current ruling dispensations led by PM Modi. To be precise here, an eminent scholar and current editor of academically known journal Economic and Political Weekly like Prof. Gopal Guru has consistently argued that Ambedkar was for ‘Annihilation of caste’ and in doing so he envisioned an egalitarian society. To put it simply, long back Dr. Ambedkar had rightly reminded us that we have to confront and uproot twin enemies namely Brahaminism and Capitalism at the same time. However, it is ironical to note that current political dispensation led by PM Modi has often talked about the economic and social problems of Dalits and for him it could be overcome through the adoption of Dalit entrepreneurship and market based economic activities like a start-up India, make in India, digital India etc. In doing so, present ruling dispensation has also see Dr. Ambedkar as the supporter of neo-liberal economic policy and free market. Even some section of middle class Dalits who also often interpreted that Dr. Ambedkar was for free market and not against the neo-liberal economic policy. For middle class Dalit (Who support Dalit Capitalism) think that market based capitalism will help to reduce the caste-based discriminations which are deeply rooted in Indian Society. However, Teltumbde and others have shown in their writings that it is fundamentally wrong to say that Ambedkar was a proponent of free market policy. To demonstrate this point, Teltumbde writes, “the sole source of Ambedkar’s characterization as monetarist or free market or neoliberal economist is the mis or, shall we say, mischievous reading of his D.Sc. thesis-The Problem of Rupee”. (Anand Teltumbde, Babasaheb Ambedkar And the Neoliberal Economic Reforms”, September 2011, Countercurrents.org, accessed on 12/1/ 2018) And for most of left and progressive forces, it is an empirically not persuasive to say that market as a force could be helpful to eliminate the caste atrocities and discriminations in the Indian society. For Teltumbde, Ambedkar was influenced by the ‘Fabian socialism’ like Jawahar Lal Nehru and supported the idea of ‘state socialism’ to overcome economic disparities. The idea of state socialism is clearly articulated by the Dr. Ambedkar and his writing like ‘State and Minorities’. Unlike right-wing forces who are championing the philosophy of marked based economy, Teltumbde and others scholars have rightly indicated that caste inequality and discriminations have not reduced in our society since the adoptions of neoliberal economic policies. Hence market based capitalist globalization has not seriously addressed the problems and aspirations of Dalits, but it has to some extent further excluded them from mainstream socio-economic development. However, Teltumbde has underlined that caste atrocities are not decline in the era of globalization. As he writes, “if caste atrocities are taken as the indicator of casteism (and I would take it as the best indicator), one will have to infer that catseism is on definite rise during the period of globalization”. In short, the so-called ‘developmental politics’ and slogans like ‘Sabka Sath sabka Vikas’ and ‘Ache dine ane wale hai’, on whose plank PM Modi was voted to power in 2014 general election; however, it is not empirically wrong to say that after five years, the socio-economic exclusions and caste atrocities against the India’s Dalit and toiling masses have in-fact tremendously increased as hinted earlier. A noted social scientist and author of why I am not Hindu Prof. Kancha Ilaiah, reminded us that “Until 1990, Ambedkar was untouchable to all mainstream political parties’’. Before highlighting the current discourse around politics of appropriating Ambedkar, let us revisit what Ambedkar had said and struggled for articularing the rights of the depressed classes during colonial time. Unlike the present RSS leader claim that he was the supporter of Sangh, it has to be noted that Ambedkar was strongly opposed by the Hindu Mahasabha and RSS ideologues such as Guru Golwalkar and Savarkar on the several issues like Annihilation of caste, social justice and preserving the sanctity of Hindu religious scriptures. In short, for historians of modern India, Hindu Mahasabha agenda was to establish a Hindu nation based on Hindu Dhramshastras. However, Ambedkar’s idea of social justice and the nationhood were in-fact based on secular, democratic and egalitarians values. To put differently, it is not theoretically wrong to say that Ambedkar’s views about nation-building was quite different from ideologues of Hindu nationalist forces. 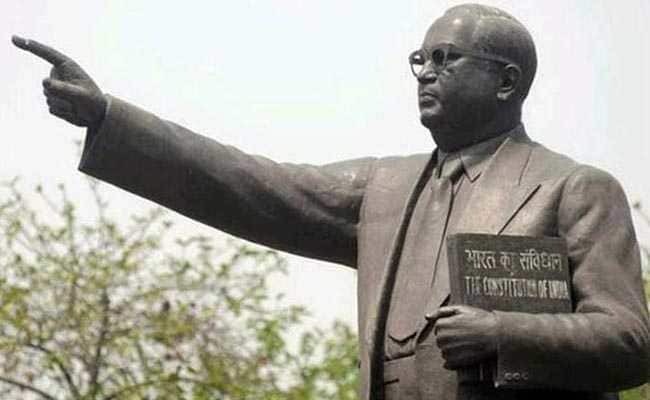 The politics behind appropriating the Ambedkar symbolically must be seen in the light of political motive (to woo the Dalits votes) rather than adopting his radical legacy in a substantive manner. In short, historians of the subaltern studies have also shown that Dr. Babaseheb confronted severe opposition from the proponent of Hindutva forces on several issues like annihilation of caste, Hindu code bill ( to note that he resigned from the post of the Nehru cabinet when this Bill was not passed under the pressure of Hindu Mahasabha)), social justice, Brahmanism etc. While describing the character and nature of Hindu nationalist movement, a noted French Scholar, Christophe Jafferlot observes, “the Hindu Nationalist movement has always had an upper-caste even Brahminical Character. This characteristic stems from nature of Hinduvta ideology which relies on a brahminical organic view of society where castes are seen as the harmonious components of society” (Cited in Jafferlot, “India’s Silent Revolution: the rise of the low Castes in north India”, Permanent Black, New Delhi, 2014, p-453). The question must be asked if the current ruling dispensation is really committed to implement Dr. Ambedkar’s ideas on social justice and address the caste atrocities including mob-lynching; why has justice still not been delivered in the case of Rohith Vemula and victims of caste atrocities as happened in the case of Una. In short, on the basis of aforementioned arguments, it is not wrong to say that Ambedkar radical legacy is completely overlooked by the ideologue of Sangh Priviar and ruling BJP government. It has to be noted that the mouth piece of the RSS such as The Organiser has published a special issue on Ambedkar. In the editorial, the RSS ideologue has wrongly interpreted the real legacy of Ambedkar. And it is surprising to note that the editor has unfortunately equated Dr. Babasaheb with Hedgewar. As the editorial writes, “it is unfortunate that the people who thrive on a foreign, divisive and violent ideology conveniently trying to appropriate the legacy of Dr. Ambedkar, forgetting the fact that it was Babasaheb who revived the reformist zeal of our ancient civilization in the modern era, along with Dr. Hedgewar’’ (The Organiser, April 17, 2016,p-5). However, on the basis of above mentioned historical facts, here it is argued that the RSS-ABVP and the BJP views are quite different from what Dr. Ambedkar had said and struggled for while articulating the rights and dignity of depressed classes during his time. In short, it is wrong to say that Dr. Ambedkar was Hindu reformist like Hedgewar as pointed out by the editor of the Organizer. He continues to say, “Inequality is the soul of Hinduism”. And that is why he finally came to conclusion that, “I was born a Hindu, but will not die a Hindu”. Since ever the BJP led PM Modi came to power in 2014, it is often said that current government has spread more Ambedkar ideology and constructed statues and building in the name of Ambedkar in compared to previous congress regime. However, it is important to note that Dr. Babasaheb himself reminded us the dark side of hero-worshiping in politics as current ruling government seems to be following. As he rightly observes, ‘in politics, Bhakti or hero-worship is a sure road to degradation to eventual dictatorship’. To conclude here, it is a high time to revisit the real Ambedkar legacy as said earlier and fight against the hero-worship including the symbolic appropriation by the RSS-BJP combine on the special occasion of his 128th anniversary day. Put forthrightly, the real tribute to the philosophy of Ambedkar would be to fight against the distorted image of Ambedkar as painted by the RSS and current political dispensation led by PM Modi. In short, for reviving the radical legacy of Ambedkar, and fighting against the onslaught of Hindutva forces, it is high time for radical young Ambedkarites and left-progressive forces to develop larger social solidarity in times to come. The real contradiction between rss and Ambedkar is caste systems. For rss hindu nation is caste system. Refer to Golwalkar, his books, ‘We or our nationhood defined’ and Bunch of thoughts, wherein he has categorically expressed that varna-caste model is hindu nation. He stresses more to social model and gives no importance to economic setup. The volumes in marathi ‘Shri guruni samagra darshan’ are more vivid in which he says we are owner of this country and will be in that position till the end of the earth. This arrogance is because of the social position of brahmins. Maintaining this model is maintaining hindu nation. Ambedkar’s thrust of annihilation of caste is real antidote to hindu nation. On 22nd April 19 Tata met Mohan bhagwat. This was ais second meeting with rss chief in last 10 months. This will not be other way round. Is not a capitalist playing second feedle to rss chief. Rss over values social model vis a vis economy.